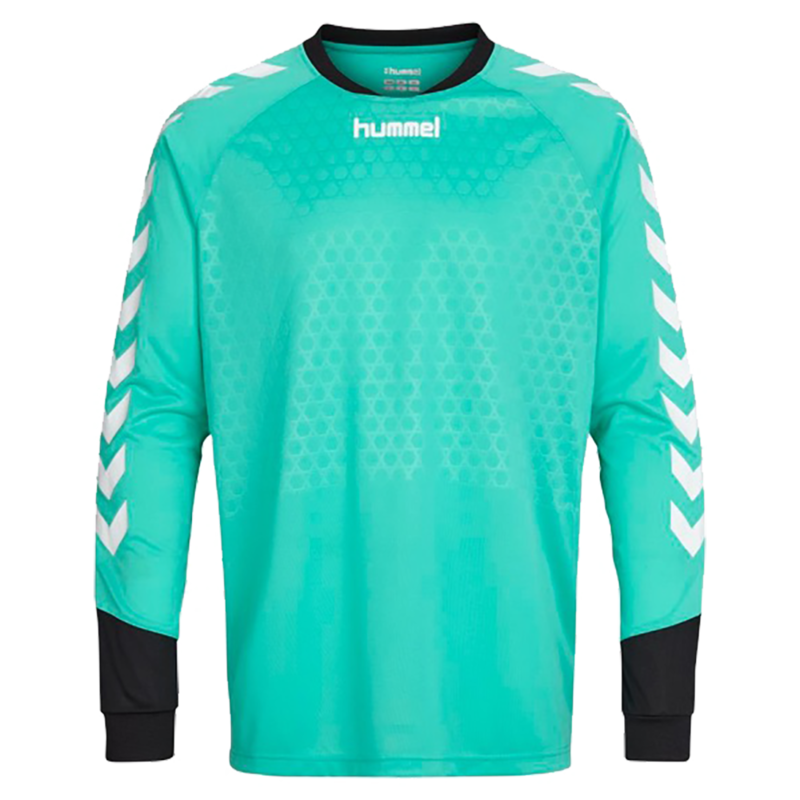 The Hummel Essential long sleeve goalkeeper shirt is not just light weight and comfortable. Available in red or for those with a cultured palate zinfandel, flame orange, blazing yellow, and Aqua green. 100% polyester for comfort and feel. 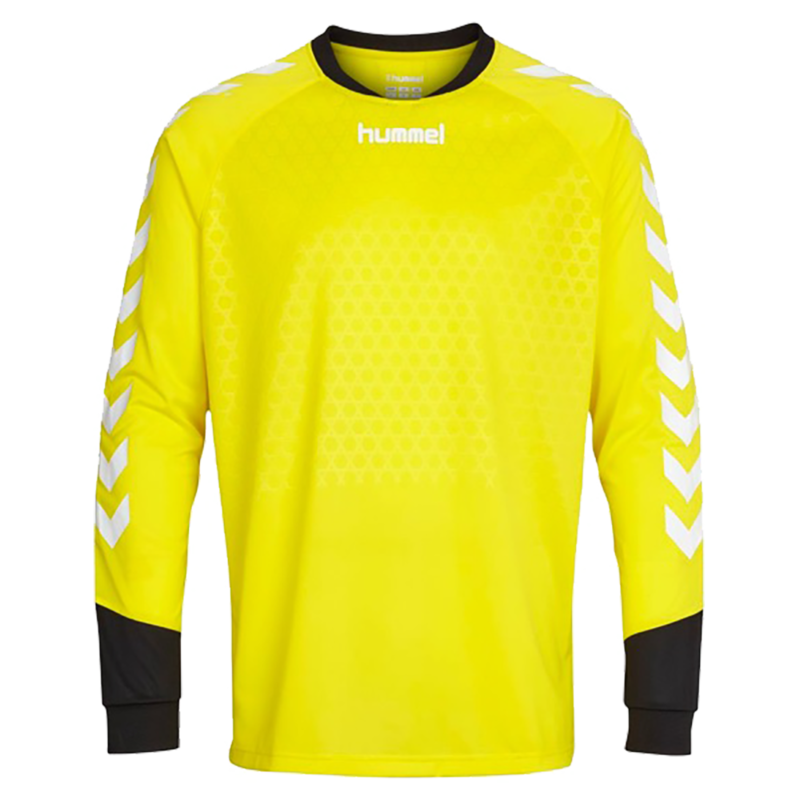 The jersey features Hummel's Cool Zone moisture management technology to keep the goalkeeper cool under pressure. 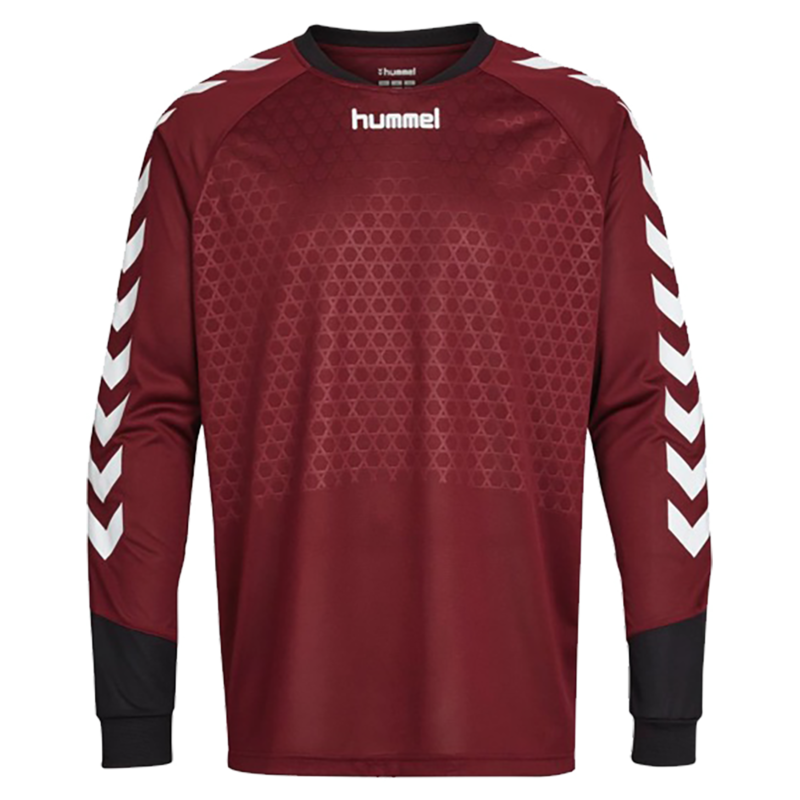 This material features embossed print patterns on the front and back and the Hummel chevrons down each arm. 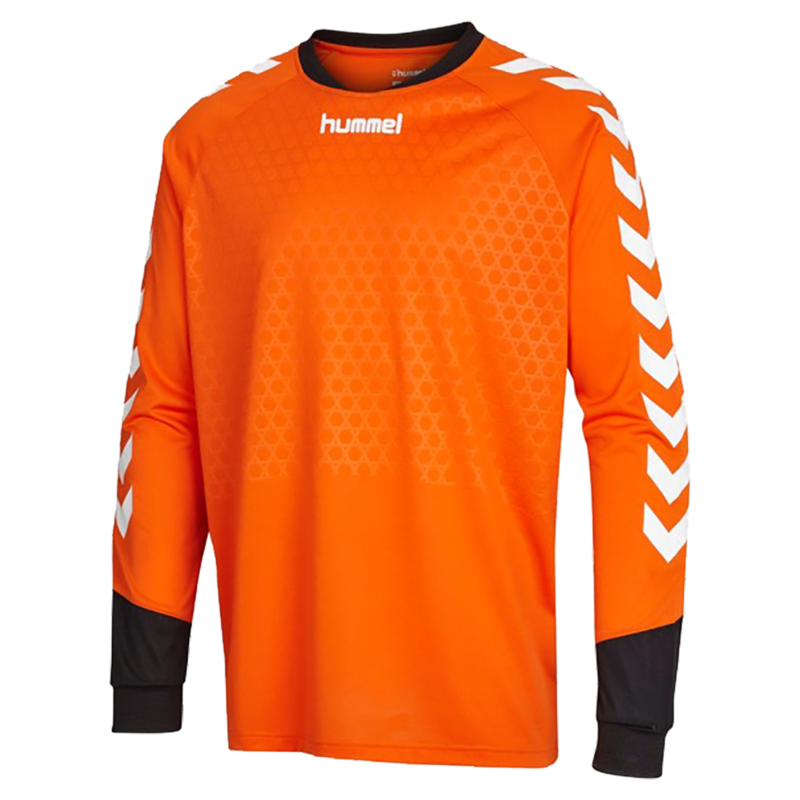 This Hummel soccer goalie jersey features padding for the elbows and upper forearms. Rib collar and cuffs. Fit Zone technology ensures perfect wearing comfort for unrestricted movement. Great service, had exactly what I needed and on the one item that was out of stock they rapidly notified me so I could change the order. Vast selection and super fast shipping is appreciated. My son loves this jersey. It's lightweight, but still gives him a little protection. We ordered a Youth Large, and he was absolutely swimming in it (especially the length of the body and arms). We exchanged it for a Youth Medium, which is perfect. I'd say the medium is equivalent to an American boys size 10-12. The large would probably be a roomy 14-16. My 11 year old daughter has three colors of this jersey. She loves them. The padding works well, cool in the warm weather, and they are very durable. We will continue to buy as she out grows them. This jersey is perfect for summer games where the temperature is warmer. 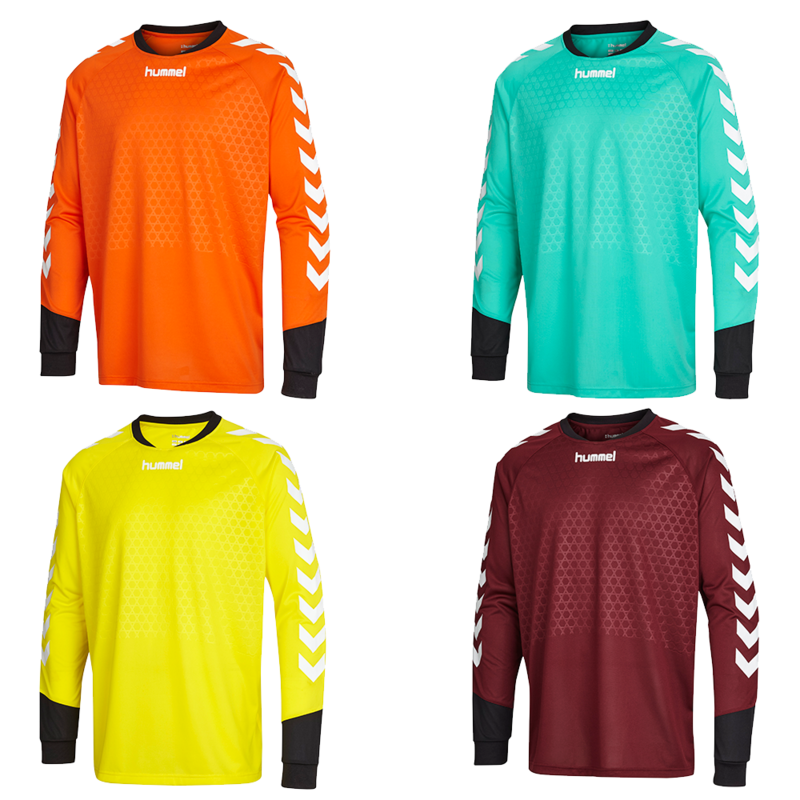 I prefer to wear a long sleeve when i play and this jersey is there perfect weight for that weather while still proving me the protection i desire. Great fit for my teenage daughter. Great color as well!